In his book Asimov Laughs Again, author Isaac Asimov relates an incident when he was interviewed by television journalist Barbara Walters. Isaac Asimov spent his life doing what he loved. I am aware that there are those people who find no satisfaction or joy from making a living. They don't like what they do and they live for weekends and holidays. Some of them feel trapped and believe they can't make a meaningful change because they don't have the skills, education, money or favorable circumstances. So they decide to dig in and keep on slogging forward. I don't want to say they are wrong, for there are many reasons we each choose our individual paths. But I'm drawn to a truth expressed so clearly by Norman Cousins. “The tragedy of life is not death,” says Cousins, “but what we let die inside of us while we live.” I agree. Death is not a tragedy in itself. All of us will die. It is as natural as birth. The tragedy is what we let die inside us while we live. Like unrealized dreams. Like a passion to be or do something that is calling to us from someplace deep. The real tragedy of life is settling for less while something dies inside us. Leaving the safety of what is known and venturing into the unknown can be one of the scariest – and best – decisions a person can make. "There is no security in following the call to adventure,” writer Joseph Campbell says. I know what he is talking about. I've followed that call more than once. And it can be frightening. But you know what's worse? Regret. Looking back and wishing that we had risked the adventure. Or just letting the desire dry up and finally die. Leaving what feels secure behind and following the beckoning of our hearts doesn't always end as we expect or hope. We may even fail. But here's the payoff: it can also be amazing and wonderful and immensely satisfying. In the end, we really only have one question when it comes to chasing a significant dream. It is whether we will say yes. 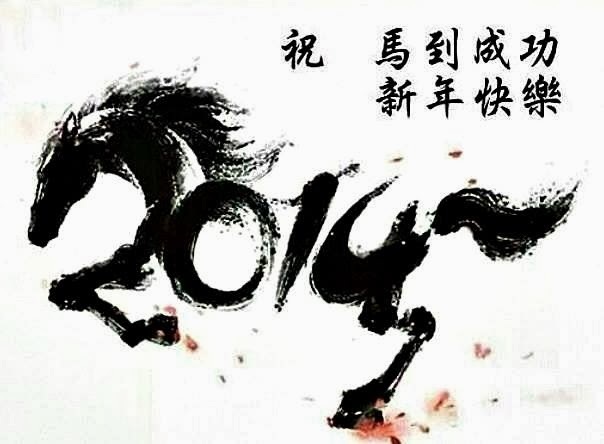 The new lunar year begins on Li Chun (start of spring), which falls on 4 Feb 2014 though we celebrated the new year holiday on 31 Jan 2014, based on the Lunar calendar.